Mozilla Firefox and Google Chrome are the most use web browser in world , both provides you a functionality to saved passwords for websites ,Once you enter your passwords in website it automatically pop up a option that you want to saved password for this website or not , if you click on yes then your password will saved in your browser.There might be chance that you forget your password , but still it is saved in your browser so you just need to view it , to do that there are some simple steps of viewing your saved passwords in Google Chrome and Mozilla Firefox. 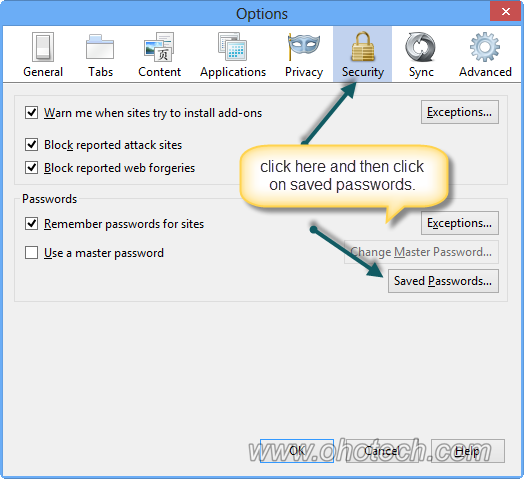 Let see see all those steps that are required to view saves passwords in Google Chrome and Mozilla Firefox. Google Chrome browser have many features that are users don’t know about it like a option to create multiple profiles in Google Chrome by this functionality you can create multiple profiles in Google chrome browser each will manage separate saved passwords , bookmarks and data. One more hidden option to view saved passwords in Google chrome .So let see how to view any saved password in Google chrome browser. 1.) 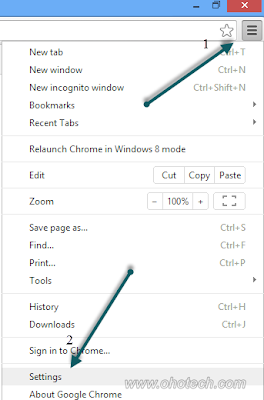 First Open Settings page in Google Chrome , to do that click on customize and control button and then click on settings option see below pic for more detail. 2.) Once settings page will open , scroll down to the end of the page and click on the show advances settings , see below pic for more detail view. 3. )After doing that you will see more settings on that page , now scroll down a little more until you will section of passwords and forms in that section click on managed saved passwords , see below pic. 4. )A new window will pop up in which all your saved passwords and username are stored , so to view saved passwords click on show button see below pic . That all about how we can view saved passwords in the Google chrome browser now we will take a look at the Mozilla firefox browser. 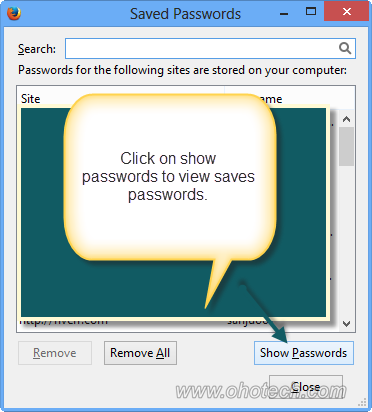 Mozilla Firefox also have many hidden features like Google Chrome browser , one of the best hidden features of the Mozilla Firefox to create multiple profiles in it , as we do in Google Chrome but as compared to Google chrome it is bit difficult in Mozilla firefox , but our focus here is on how to view saved passwords in Mozilla firefox.So lets see all the steps of doing it. 1.) On menu bar click on tools and then below near the end you will see a options click on it ,see below pic. 2.) In newly open option windows click on security tab and then click on saved passwords , see below pic. 3.) A new window will open which will contain all your saved passwords ,in that window click on show passwords to view all the saved passwords .You can also remove the saved passwords too , please take a look at the below pic for more detail information. 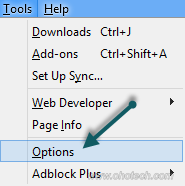 how to tweak Mozilla Firefox for very high speed. How to tweak Google Chrome Browser for very high speed. Please don’t forget to subscribe to my blog and if you have any query leave your comments , i will try my best to solve it .